The Protech Skull Damascus TR-2 is a one-of-a-kind knife with a custom Peter Kellet Splash anodized handle that includes an inset Bruce Shaw designed sterling silver skull. The Chad Nichols Damascus blade is deployed with a push of the mosaic pin firing button. 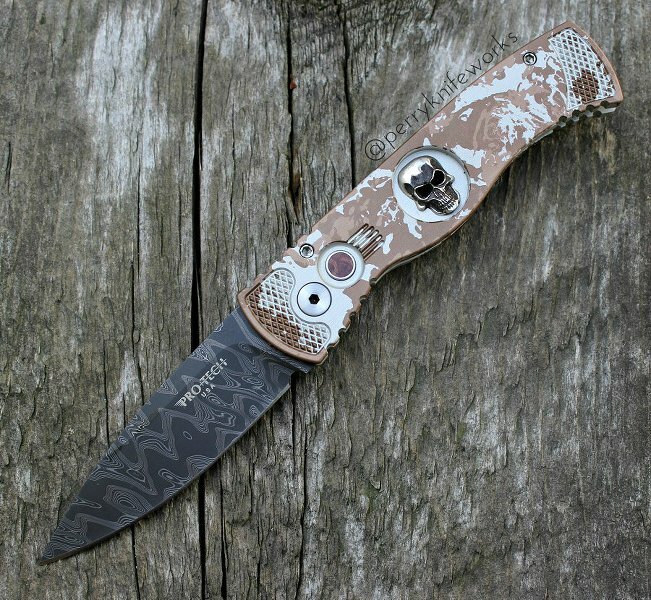 This knife, like all Protech knives, fires hard and feels great in hand.